The term "borderless display" doesn't sound as amazing as it did a few months ago because almost every company out there has a model with minimal bezels now. I say minimal because no phone can truly skip bezels entirely, at least not yet. However, a latest rumor brought forth by SamMobile seems to indicate that the Galaxy S9 will take the term bezel-less even more seriously than before by opting for a screen-to-body ratio as high as 90%! That's an improvement over the already impressive 84% scree-to-body ratio which the Galaxy S8 sports. 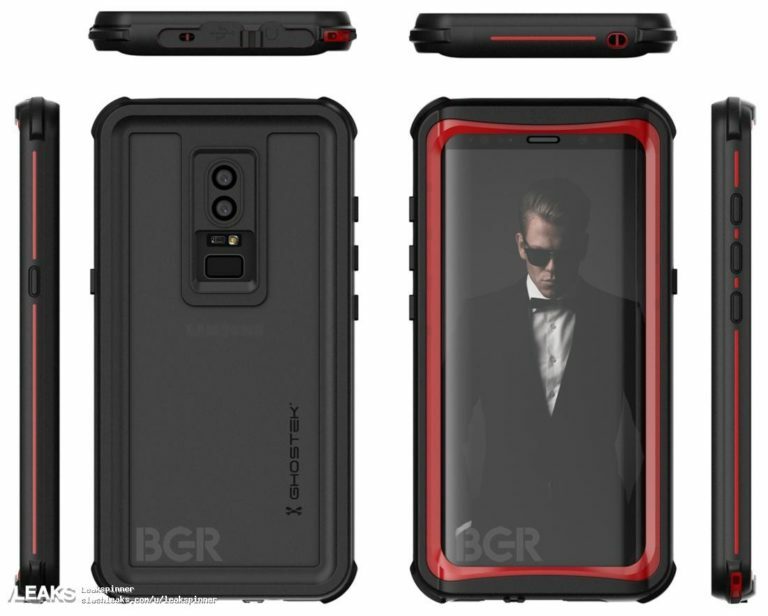 The images you see here have been leaked from a smartphone case manufacturer, Ghostek and as you can probably guess, the case is indeed designed for the upcoming Galaxy S9. Aside from the narrower bezels, if the images are accurate, it looks like Samsung will finally be positioning the fingerprint scanner in the middle of the S9's back and that would definitely be an improvement. What it would also mean is that the S9 won't have a fingerprint scanner embedded into the display either.